There is a post up on a blog called Blue Christmas that demonstrates how to use a third party JAR, launch an Android intent, and receive a result from the Intent with Delphi XE7 Firemonkey. It is actually a pretty good tutorial with screen shots and code snippets plus the full source code is available at the end. Basically it shows you how to add the JAR to your Library and then use Java2OP to generate the interface files for it. The JAR file in this example is a File Explorer dialog which allows you to return what was selected to the app that called the Intent. Additionally, it shows you how to add an Intent to the Android manifest and then call that Intent in Object Pascal. Prior to calling the Intent it shows how to setup a call back function to receive the result of the Intent. This is a really good tutorial I think because I haven’t seen all this information located in the same place before plus a demo project to check out. The blog post isn’t in English so be sure to use something like Google Chrome which can translate the page for you. I found this link on Humphrey: Kim Hyun – Soo’s blog and this code should work in Appmethod as well. 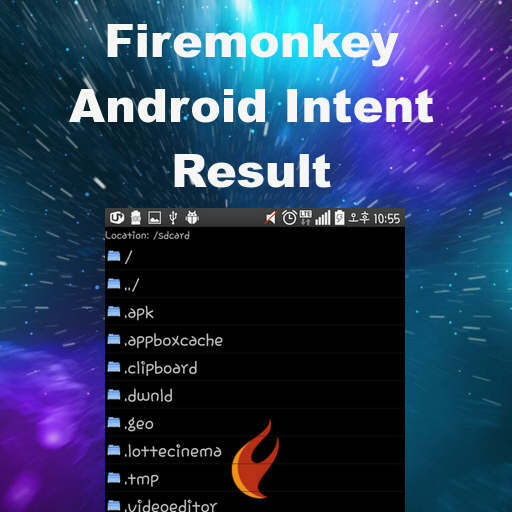 Head over and check out all of the code snippets for this Android Intent result tutorial on Android in Delphi XE7 Firemonkey.